Help geriatric patients prevail over sleep apnea treatment adherence challenges, like shaky hands and 3 am bathroom breaks, by selecting appropriate interfaces. But older adults with sleep disorders are also more likely to have other health-related issues that can stand in the way of efficacious and comfortable treatment. CPAP mask-related challenges, such as difficulty tightening the interface due to shaky hands, can many times be overcome by choosing masks and accessories that work around the potential problem. In the case of tremor in the hands, consider masks with magnetic closures instead of clips as well as those that can remain assembled between wears—simply slipping on and off. 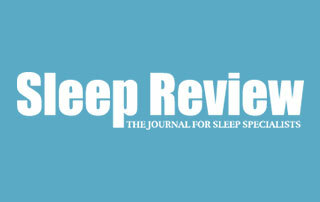 Identify the patient’s stronger hand, adds Shari Angel Newman, RST, CSE, RPSGT, clinical manager at Spartanburg Sleep Services and a member of Sleep Review’s editorial advisory board, and use that knowledge to guide you to an appropriate interface. After you demonstrate how the mask works, “patients should always be asked to do a return demonstration of how to properly apply and remove their mask,” say two employees at Sleep Data, where the geriatric patient population demonstrated a CPAP Medicare compliance of 76% this past year. William Hevener, RPSGT, clinical operations manager at Sleep Data, and Hicham El Houdaigui, BSRT-RCP, respiratory operations manager at Sleep Data, continue, “If they struggle during this demonstration, they should try again until they are comfortable or should try a different mask.” Sleep Data also recommends fitting patients in front of a mirror and encouraging them to use a mirror at home to start. “Geriatric patients should be given masks with the least amount of detachable parts to make cleaning and fitting easier while reducing the likelihood that parts will be misplaced,” say Hevener and El Houdaigui. Similar to younger patients, older CPAP users may suffer from facial irritation caused by the mask. Due to changes in skin that occur with age, such as a decrease in its ability to retain moisture, older adults can be more susceptible to these reactions. One cause of irritation is bacteria on the mask, which then clogs pores and infects the skin. “Teaching proper cleaning and resupply habits can reduce the likelihood of skin irritation caused by bacteria and oil accumulation,” say Hevener and El Houdaigui. Patients should be encouraged to wash their faces nightly and allow the skin to fully dry before putting on the interface. Barriers between the mask and face can also be employed. Several brands of CPAP mask liners are on the market. Some clinicians also find that non-petroleum-based moisturizers are effective. “Use of a water-based lubricant, such as aloe vera gel, may be beneficial,” says Mark J. Muehlbach, PhD, FAASM, RPSGT, a staff clinician and director at Clayton Sleep Institute (CSI) Clinics, director of the CSI Insomnia Center, and co-director of the CSI Research Center. “Interfaces that cover the entire face (ie, total face masks) rather than just the nose or just the nose and mouth may be considered if the areas of skin irritation are closer to the nose. One more option is to have the patient switch between different styles of mask. “Perhaps a nasal pillow one night and full-face another. By alternating we won’t have the pressure points in the same place night after night,” Newman says. A downside, depending on the payor, is this option may be cost-prohibitive as most insurance companies will only cover one mask at a time. Another characteristic that impacts mask choice is missing teeth. Older adults who are edentulous typically wear dentures during the day but remove them before bed. In this scenario, clinicians disagree on what style of mask is best. Hevener and El Houdaigui say full-face masks often work well for the following reason: “Patients without teeth lack some of the structural support that helps keep the mouth closed while using CPAP. Patients who lack teeth may leak air though their mouths. This creates dryness and discomfort that often leads to noncompliance with therapy.” In cases where most full-face masks don’t seal properly due to missing lower teeth (causing a lack of structural support at the front of the lower jaw), they turn to full-face masks that seal under the chin instead. Fung says to consider either nasal pillows or the aforementioned full-face mask. “Nasal pillows may be considered since they seal at the nares. A total face mask that covers the entire face may also be considered,” she says. Getting out of bed in the middle of the night to use the bathroom can be another challenge for CPAP adherence. Patients may use the CPAP until the first bathroom break, then fail to continue use after returning to bed. This practice is especially risky for patients whose untreated apnea-hypopnea index tends to increase as sleep cycles, especially REM sleep, progress. And, as many patients will attest to, “Patients being treated for sleep apnea use the restroom less during the night than they would with untreated sleep apnea,” note Hevener and El Houdaigui. Though successfully introducing CPAP typically becomes more difficult as the patient’s cognitive impairments or dementia becomes increasingly severe, Hevener and El Houdaigui note that “a formed habit may carry into more severe stages making long-term usage easier for the patient and the caregiver.” So diagnosing and treating patients as early as possible has real-life advantages. As many seniors are on a fixed income, cost can also become a barrier to OSA treatment. For those on Medicare, Hevener and El Houdaigui say, “Medicare standard coverage for CPAP and supplies is 80%. Many patients carry secondary insurance that will pick up the remaining 20%. If the patient does not have a secondary insurance, then they are responsible for the remaining 20%. However, most durable medical equipment (DME) companies who provide CPAP offer financial hardship waivers and payment plans.” Sleep Data also emphasizes the importance of educating patients on how to care for their equipment and supplies so they do not have to purchase extras (outside of their medical coverage) due to wear, tear, and damage. Though patients of any age may resist CPAP on emotional or psychological grounds, sleep clinicians may find it especially challenging to argue with the “wisdom of the ages,” so to speak. That is, the patient has lived 70+ years of life successfully without a CPAP, so why start now, s/he may argue. Fung says, “Helping patients become more motivated so that they are ultimately the ones who convince themselves that they need to use PAP therapy nightly may be more effective [than basic education about OSA and its treatments]. Providers can help patients explore the patients’ ambivalence or concerns about treating OSA or using PAP. One way of helping patients explore is to ask patients to verbalize or write down the perceived benefits and risks of using PAP and the benefits and risks of not using PAP. These explorations and other similar techniques may help patients come to the realization that the benefits of PAP therapy outweigh the risks (or hassles) of using PAP therapy. Always keep in mind that strategies that work on younger patients can be effective in geriatric patients too. So whether that’s signing up the patient for a CPAP adherence smart phone app or steering them toward an online support group, the sleep clinician has the ability to inject more quality into the quantity of a patient’s years—and that’s true at any age. 2. Punjabi NM. The Epidemiology of Adult Obstructive Sleep Apnea. Proc Am Thorac Soc. 2008 Feb 15;5(2):136–43.